SAO PAULO, BRAZIL - CIRCA JANUARY 2014: Passengers walk through Guarulhos Airport in Sao Paulo, Brazil. 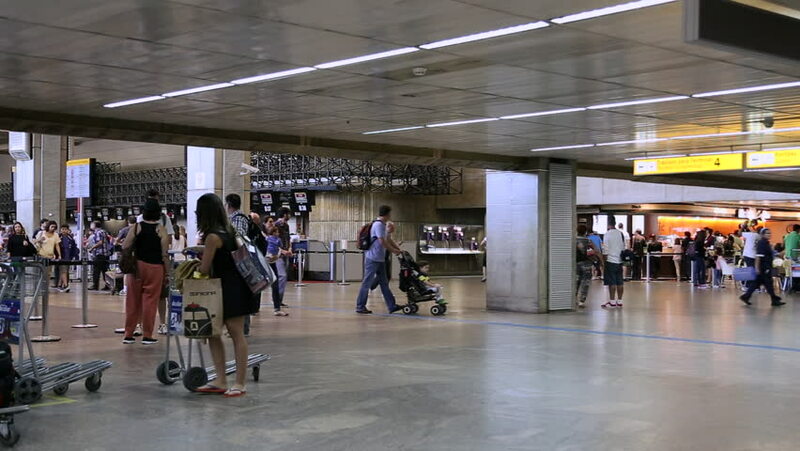 Guarulhos is the main airport serving Sao Paulo, Brazil. 4k00:48Seoul, South Korea: April 5,2018: Starfield Library in Starfield COEX Mall. hd00:17VALENCIA, SPAIN - MAY 7, 2016: Airline passengers at the Valencia Airport. About 4.98 million passengers passed through the airport in 2015.
hd00:27ISTANBUL, TURKEY – APRIL 24: Passengers checking information screens, shopping in duty free shops and rushing to the gates in Ataturk International Airport on April 24, 2013, in Istanbul, Turkey. 4k00:15Mumbai, India: May 8, 2018: 4k footage of new terminal International Airport at Mumbai, Sahar, The Chhatrapati Shivaji International Airport. 4k00:19ABERDEEN SCOTLAND - 18 SEPTEMBER 2015 People shopping in Union Square Aberdeen, Scotland, UK on September 18, 2015.This is one of the best shopping centres in Aberdeen. 4k00:28AUCKLAND, NEW ZEALAND - SEPTEMBER 9, 2018:Passengers walking inside Auckland International Airport.It's the largest and busiest airport in New Zealand with several brand name and duty free shops.